Everything Everywhere are a mobile service provider co-founded in 2010 by Deutsche Telekom (T-Mobile in the UK) and Orange. They came to market with the first offering of 4G data over mobile networks. The new service required a host of supporting products and services to be created and/or merged from those existing within T-Mobile and Orange, and an aggressive delivery programme was implemented via a network of partners. I was engaged by partnering experience agency Heath Wallace who, under the wider project guardianship of Sapient Nitro and creative partners Wolff Olins, had responsibility for delivering the account management and related suite of services for the new brand. Initially working solo, my first job was to research account management services and features across existing T-Mobile and Orange products, and work with technical stakeholders across both businesses as well as third party developers to define functionality for a new product. This involved identifying what existing customer data was accessible and available from both separate businesses (and their constituent parts), what new data might be required, and starting to create draft stories and information architecture based on those learnings. 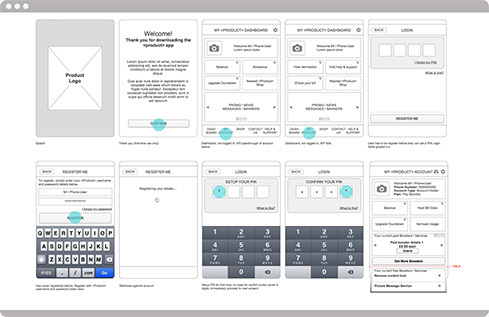 As the project progressed the team was ramped up to meet demand, and I focussed on defining user experience based on pre-existing personas through multiple iterations of wireframes and user-journeys along with another two other UX, an IA, and input from our partners at Sapient. 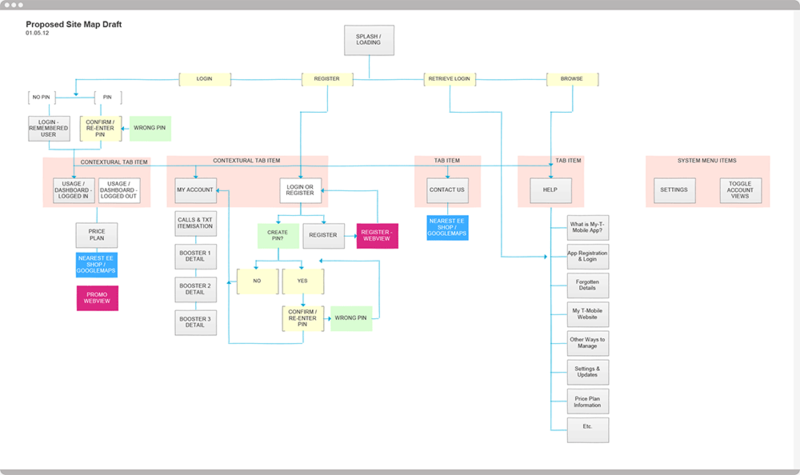 We created many flows, wires and journeys for OS-specific (iOS, Android) and responsive content based on regular sessions with both T-Mobile and Orange technical, marketing and product ownership stakeholders. 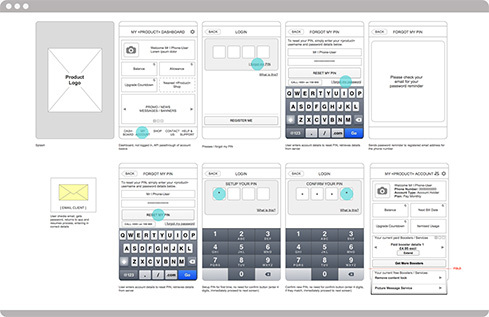 Where necessary, I created prototypes to better communicate specific design patterns and other new or interesting interaction design. A critical part of this phase of work was to ensure that experience was defined for all use-cases through the service, including existing T-Mobile customers who were upgrading, existing Orange customers who were upgrading, brand new EE customers, and potential new customers of all three businesses. 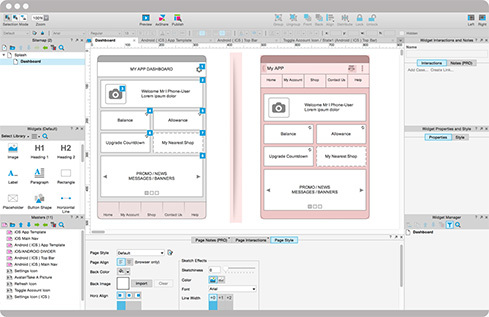 Once the architecture was stable and wireframes sufficiently mature, I began to look at visual design. We worked closely with Wolff Olins (who were developing the overall brand in an adjacent work stream) and Sapient to define visual and user interface design for the new products. EE was first to market with the then new 4G network capability, and so the branding was all about the new and the game-changing, and our interface needed to reflect those values. 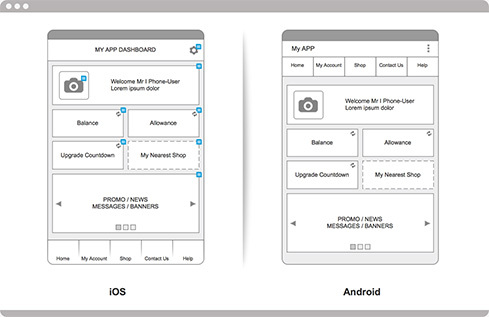 We spent a lot of time defining, refining and testing visual design to work across native iOS and Android apps, as well as responsive content to be wrapped into web-apps with Sencha Touch. We also designed companion pieces such as a sales channel and skins for white-label products like 'Clone Phone', which was being bundled with the new service. On launch, EE attained the largest and fastest 4G uptake of any European operator, and achieved it's goal of one million customers by Sept '13.